Andrew called the meeting to order. Judy R. led us in the Pledge of Allegiance. Erika called for introduction of guests. 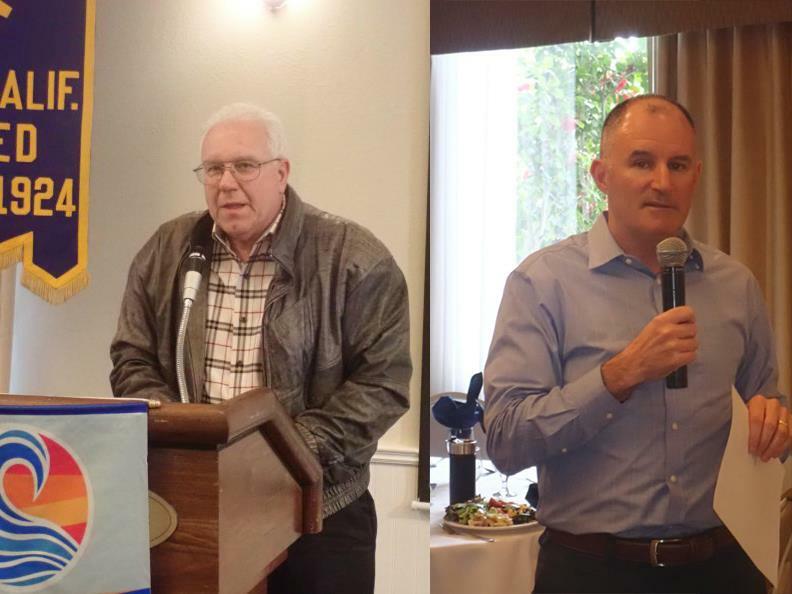 Visiting Rotarians were Jim H. from the LG Mornin Rotary and Nick L. from the Eastside/Evergreen Rotary Club. Hal R., Art R., and Doug B. each introduced their wives. John P. inspired us with the story of Dr. Pemberton who was the inventor of Coca-Cola. We Care, Andrea L. has two cards for us to sign. One was a get-well card for Leroy who hasn’t been feeling well. The other was a condolence card for the wife of Dave M. who passed away earlier this week. Andrew commented on how inspirational Dave was, as a Rotarian, a world traveler or just his personal energy. Andrew made a $100 donation to the Rotary Foundation in his memory. Jack donated $99 (he didn’t want to ring the bell) thanking Johnna and Wes who have been a great help to him. They will decide where the donation should go. Marty shared pictures from Gordon who is currently in Norway. Nicholas shared that he had just gone to Tahoe with Andrew, the Adventure Guides and his daughter Audrey. He thanked Andrew for inviting him to join the Guides. John P. offered to pay a $50 fine for his phone ringing the other day. Kent C. is just back from Hawaii. He checked a couple items off the bucket list created after his accident a couple years ago. He went diving and played golf. Great news Kent! Mike reminded us the Great Race is April 28. This will be a sanctioned race so we’ll have about 200 fast runners. If you aren’t going to be at the race let Mike know, there are things that can be done before the event. Mike thanked David K. for doing the permits, big thanks to Julian for taking care of the insurance and Avis for taking care of sign permits with the town. Avis got a round of applause for her efforts to get a refund from the town for overpaying for permits. If you want to run, sign up on line. Mike L. from Eastside/Evergreen Rotary announced their crab fest. It will be held March 23 6-9 p.m. at the South Bay Yacht Club in Alviso. Tickets are $65 and 100 tickets are available. Patti V and Sandi B. were thanked for their work on Season of Giving. Andrew read inspiring words by Laura Ingell Wilder reminding us to be grateful for common every day blessings. Don M. told us about the casting ponds that are near the perc ponds on Dell Ave. He suggested we go by and watch people practice. He used to go the ponds in San Francisco when he was growing up. 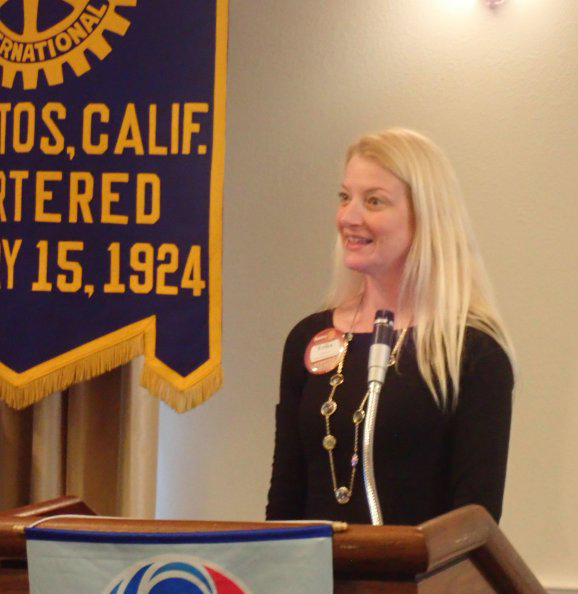 There was a short video from the Rotary Foundation giving us a polio update in Pakistan. They take an interesting approach by vaccinating children on buses as they move to safer areas. Our speaker was member Doug B. who gave an interesting and entertaining presentation on autonomous vehicles. Although he thinks autonomous cars are several years away he explained how this technology is commonly used in farming, construction, and other industries to improve safety, and efficiencies. He discussed the benefits of autonomous cars while acknowledging there is still a great deal of additional testing needed. Thank you, Doug, for this fascinating presentation, especially for explaining to us how these vehicles work in a way that was easily understandable.